Sylvia Park owner Kiwi Property this week celebrated the official opening of the centre’s $8.9million dining expansion, bringing together some exceptional new dining experiences as well as a host of Sylvia Park favourites. Also set to impress is The Grove’s new combined sculptural and entertainment artwork, The Pod – a multi-purpose installation that will double as a performance area. Inspired by an unfolding mangrove seed, The Pod will open from each side to reveal a 5-metre by 3-metre stage space. 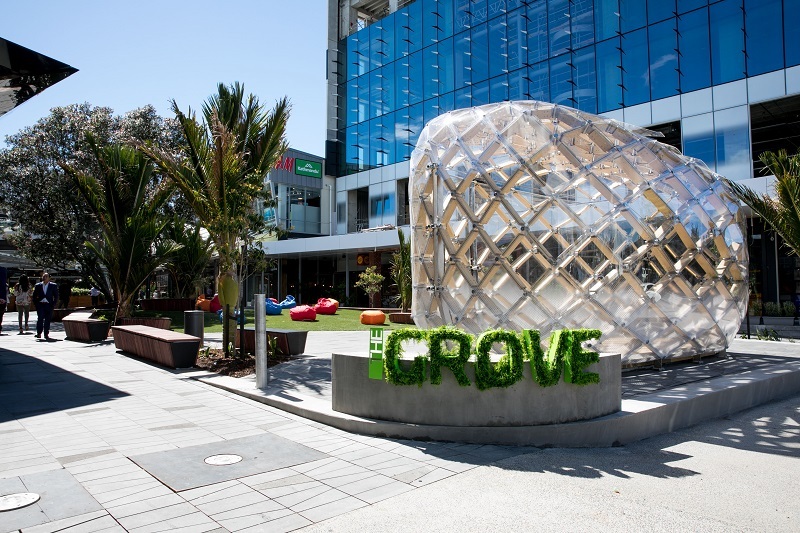 The Grove’s line-up includes Hawker & Roll, a spin-off eatery from Josh Emett and Fleur Caulton’s successful Madam Woo, New York style deli Birdie’s, popular chains Mexico and Better Burger as well as Garrison Public House, Casablanca, Wagamama, The Coffee Club and more soon to open.